Guatemala, our Latin American travel destination, is a country of superlatives, from its stunning architecture to its amazing landscapes. Our trip will take us into its most urban and cosmopolitan areas, as well as rainforests and ancient Mayan ruins. 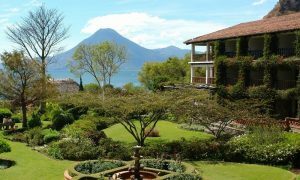 Guatemala offers placid lakeside vistas and stark volcanoes. It is a country of beautiful Spanish colonial architecture and centuries-old archeological ruins. Less than 2% of the country is considered urban, so there are many scenic wonders to visit in their natural, unspoiled settings. Guatemala’s ancient Mayan culture continues to be reflected in its native descendants, while the country’s cities are home to a vibrant contemporary arts and cultural scene. So be prepared for a week of exploration in one of Latin America’s most exciting and varied countries. On our arrival at the International Airport of Guatemala City, we will be met with a TAL Tours representative for transfer to our hotel for overnight accommodations. Everyone should get a good night’s sleep, for tomorrow, our adventure begins! At 5:00 a.m., we’ll transfer to the International Airport of Guatemala City to board an early-morning flight to Flores, Petén. On our arrival at the Mundo Maya Airport, we’ll transfer to Tikal National Park for several hours of sightseeing. Tikal National Park, a UNESCO World Heritage Site, is the location of an ancient Mayan city, considered the largest and most significant of all Mayan sites. The civilization inhabited the area from the 6th century B.C.E. to the 10th century C.E. Our tour will include visits to the site’s most important public squares, palaces, and temples. 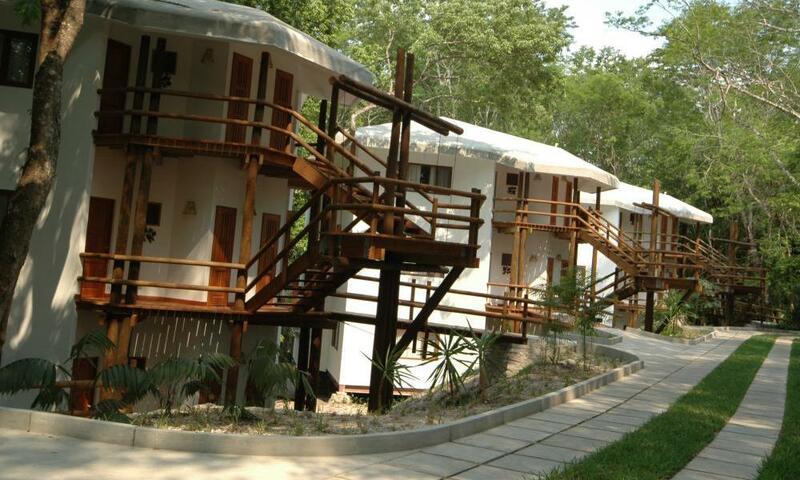 We’ll also tour the surrounding tropical forest, nesting home to numerous exotic birds and a vibrant wildlife habitat. In the afternoon, we’ll transfer to our Hotel for overnight accommodations. At 6:00 a.m., we’ll transfer to the Mundo Maya Airport to board a flight back to Guatemala City. 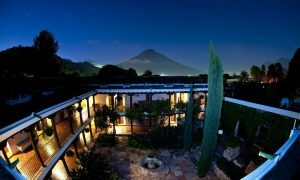 On our arrival, we’ll transfer to the colonial city of Antigua Guatemala, commonly referred to as La Antigua or simply Antigua. Located in the central highlands of the country, it is famous for its Spanish-Mudéjar baroque architecture, cobbled streets, and its dramatic location in the shadow of three volcanoes. The city also is home to several spectacular ruins of old colonial-era churches. Antigua is the most popular area of the country for global visitors. After our arrival, we’ll enjoy a tour of the city. A day in Antigua is like a step back into time. Its crumbling ruins, cobblestone streets, and colorful sprays of bougainvillea create a charming setting for our tour. Antigua Guatemela lies at the base of three volcanoes: Agua, Fuego, and Acatenango. Against this ancient backdrop, the city provides a pristine setting. It is one of the neatest, cleanest cities one can find -- with buried power lines, frequently collected trash, and unsnarled traffic. Its city fountains sparkle against the pastel facades of street-front buildings. There’s a photo opportunity on every corner. After a day of sightseeing, we’ll head to our hotel on Lake Atitlán. Lago de Atitlán, as it is known by the natives, has drawn travelers to its shores for centuries, due to its natural beauty and its location under a ring of volcanoes. It’s a magical place and the perfect way to end a day in the enchanted Antigua area. In the morning, we’ll board our private boat to tour the town of Santiago. Located on the lake, it sits a mile above sea level in the highlands and therefore provides a mild, semi-tropical climate. Santiago is probably most famous for the idol Maximón, who is widely worshipped by the town’s Tzutuhil Mayans. This four-foot-tall character is swathed in layers of clothing and wears a mask over its face, which is smoking a cigar. Santiago also offer many locally made items for sale, including handicrafts, textiles, woodcarvings, and naïf paintings. We’ll browse among the shops before heading out. Later, we’ll return to our hotel at Lake Atitlán for the evening. In the morning, we’ll transfer from Lake Atitlán to Chichicastenango, where it’s market day. There, we’ll find the most picturesque and lively outdoor market in all of Guatemala and probably the Americas. Every Thursday and Sunday, vendors and customers from throughout the region gather to buy or sell produce, flowers, live animals, textiles, and handicrafts. K’iche’ Maya of the surrounding region, as well as such groups as Mam, Ixil, and Kaqchikel natives gather to sell their products. They set up their booths the night before, then greet market day by setting off cohetes, or homemade rockets, and bombas, or firecrackers. Though riotously noisy, the colorful market is well organized, with vendors occupying traditional areas based on their specific goods. Whether you’re looking for pottery, medicinal plants, candles, wooden boxes, or flowers, it can be found at the Chichicastenango market. While we’re out, we’ll visit the Santo Tomás Church. The church, dating from 1540, is the scene of rituals that are both Catholic and Mayan. On most days, the smell of incense and the chants of prayer leaders fill the air. 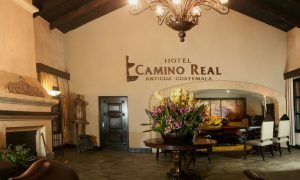 In late afternoon, we’ll transfer to Guatemala City and arrive at our hotel for our overnight accommodations. At 9:00 a.m., we will be picked up in the lobby of our hotel and begin a tour of Guatemala City. The country’s capital and largest city is filled with museums, and a sophisticated cultural scene has developed in what was previously considered a place of urban squalor. A robust, bustling environment, along with a rich cultural heritage makes Guatemala City worth a second look. On our route, we’ll visit the local cathedral, Main Square, the Civic Center, and several residential neighborhoods. Two of the most notable stops on our tour will be the Palacio Nacional de la Cultura, or National Palace of Culture, and the Relief Map. The National Palace of Culture is an architectural symbol of Guatemala City. It is considered the most important building in the country and was once the headquarters of the country’s President. Today it is a museum, but is also used by the government for some functions. Also considered one of modern Guatemala’s greatest architectural feats, the building required a large team of engineers, architects, and visual arts consultants for its construction. The Relief Map may seem oddly named, but is actually quite descriptive of the site itself. It is a scaled map and monument of Guatemala, depicting its geography from lakes and rivers to roadways and cities. Afterward, we’ll head back to the hotel and begin preparations for Shabbat. On Shabbat we’ll take a day for relaxation and leisure in Guatemala City enjoying the day with the local Jewish community. On our last day in Guatemala, we’ll transfer to the International Airport to board our departure flights. We’ll look back on a week that has been filled with the colorful sights, both lively and serene, of the vibrant Central American land of Guatemala.